A great bright color for your kitchen cookware! Try preparing your favorite family and company recipes in this great set! Assured of success when you cook with these pots and pans, this Chef's Secret 10-Piece Steel Non-Stick Cookware Set has a variety of pieces including a colander for rinsing or draining your fruits and vegetables. An attractive bright red finish tops the heavy gauge even-heating steel construction. See-through glass lids make watching the progress of your cooking an easy chore. Steel material Provides a surface that produces even heating in the pots and pans. Heavy gauge steel Offers durability for long lasting cookware. Non stick surface Makes cooking and clean-up an easy task. Glass lids Are vented and provide a clear view for checking on cooking progress. Handles Are sturdy stainless steel that are riveted for safe handling of pans. 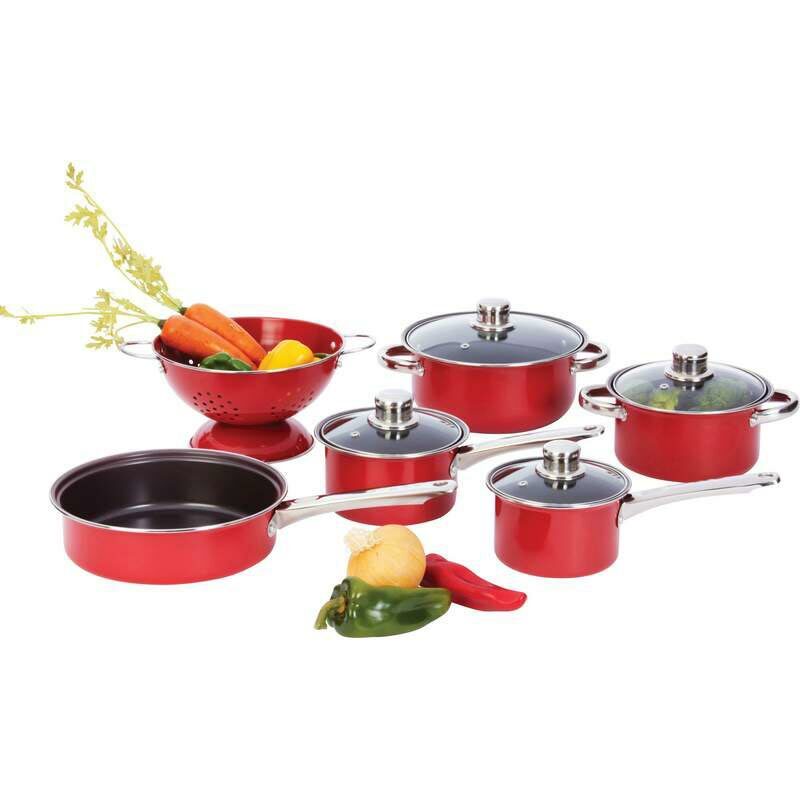 Stain resistant finish Offers long term attractiveness for this cookware set. Red color Makes these cooking pans fun to use!